1 In an artic1e in the Review of Economic Studies, G1ustoff attempts to prove the existence of a Keynesian "equilibrium". 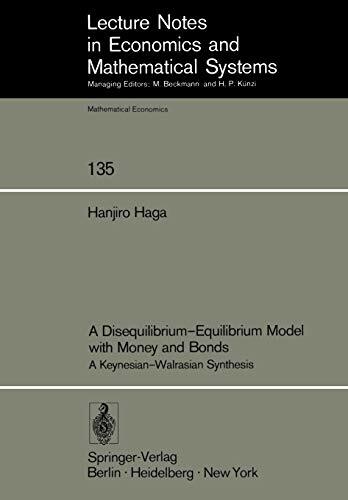 The significance of his article tran­ scends its explicit purpose of proving existence, since it deals with the more fun­ damental question of what is the nature of a Keynesian equilibrium with involuntary unemp1pymant: Moreover, it approaches the problem frPlIl an unorthodox point of view. 4 G1ustoff follows the direction of C1ower,3 who in turn goes back to Morishima and Patinkin;5 that is, unlike the theory based on ex ante demand or supply functions, he redefines the labour supply function using a "dual-decision hypothesis". The root of this problem can be traced back to the classical discussion of ex ante and ex post by Oh1in,6 the representative of the Stockholm school., Therefore one can say that G1ustoff refines this line of discussion by utilizing a recent de­ velopment in economics. One can also say that his approach is basically the same as that of Leijonhufvud who advocates the "Economics of Keynes" and not the "Keynesian Economics". To explain G1ustoff's discussion, let us begin with the following figures for convenience. [4 ]. 1- See 2. See  . 3. See [2 ]. 4. See . pp. 24-26." and  (ch. 13 and ch. 14).